CoreLogic’s first look at cash sales in 2015 shows that though cash sales made up 39 percent of all home sales in January, the numbers mark the 25th straight month of declines in non-loan purchases. Since the beginning of 2013, cash purchases have comprised a steadily eroding share of the market en route to pre-crash averages. Prior to 2008, cash sales on average made up a quarter of the sale market nationally. Cash sales reached their peak during the worst of the recession, topping out at 46.5 percent in January 2011. With the market stabilizing gradually since 2013, cash sales dropped to 41 percent of the market by January 2014. According to CoreLogic, the share should return to around 25 percent by mid-2018. REO sales had the largest cash sales share‒‒60 percent‒‒in January. Short sales and resales came in mostly evenly split at about a third of the market each; newly built homes made up about 17 percent. Florida and Alabama had the largest shares of cash sales in the nation. 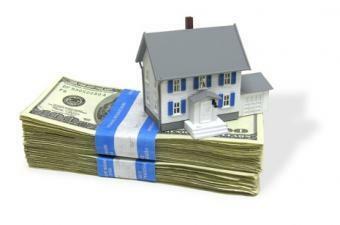 Just over 56 percent of home sales in Florida in January were all cash, followed by Alabama’s 54.7 percent. New York, Indiana, and Missouri all came in around 48 percent. In terms of metro areas, Detroit had the largest share of all-cash sales. Cash sales made up a full two-thirds of all home purchases in the Detroit-Dearborn-Livonia region. However, three Florida metros‒‒the Miami, Cape Coral, and Fort Lauderdale areas‒‒each saw cash sales comprise about 60 percent of home sales in January. The nation’s capital had the lowest percentage of cash sales. Cash deals made up 16 percent of January sales in the D.C.-to-Maryland market. By contrast, Maryland statewide had the lowest percentage of cash sales (20) in January. Maine, Colorado, and Massachusetts shared second-lowest place, each reporting 25 percent cash sales. Virginia, Minnesota, and Washington rounded out the states with cash sales of less than 30 percent. CoreLogic based its numbers on year-over-year totals, due to month-to-month seasonal concerns. Month over month, the cash sales share increased by 3.2 percent, which is typical in January, CoreLogic stated.